Diamante Lighting has acquired a great expertise in designing and manufacturing lighting fixtures especially conceived for specific applications that might require special sizes, special wirings, specific light distributions, light temperatures or light effects, aspecially designed control, extremely short or long brackets to allow installations in particularly complicated situations. Diamante can also design fixtures and systems entirely from scratch in collaboration with lighting designers and engineers, contractors or end users. Diamante can provide drawings, simulations, light calculations, working samples, certifications to allow the specifier to make tests and perfect his project. The ultimate lighting system for railway and underground stations. It combines specific light distribuitions, audio-video and through-wiring systems. The IN-Lynea S was designed and engineered by Diamante Lighting based on specifications provided by RFI, the Italian State Railway company. The purpose was to replace old fluorescent lighting appliances with new LED fixtures especially developed to meet specific requirements such as illuminance level, IP rating, cost efficient installation and maintenance, through-wiring, audio and video surveillance. 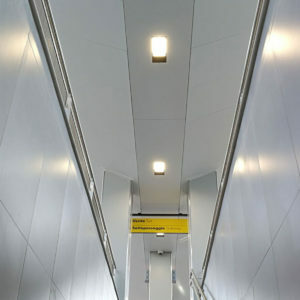 IN-Lynea S, in its ceiling-recessed version, was installed above the platforms and in subway pedestrian paths. The fixture body is in aluminium alloy, powder-coated in matt white with a tempered glass. Mid power LEDs, driver on board, DALI-controlled. 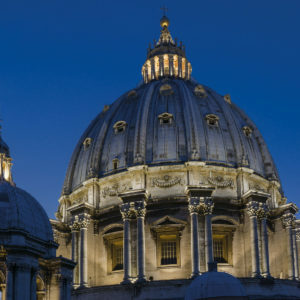 In November 2015, the refurbishment of the lighting system of the Basilica of St. Peter in Rome ended with the inauguration of the Basilica’s façade. homogenization of the colour temperature. The entire project was carried out by replacing the existing traditional lighting appliances with Diamante’s LED fixtures, without changing the number and placement of the lighting devices.